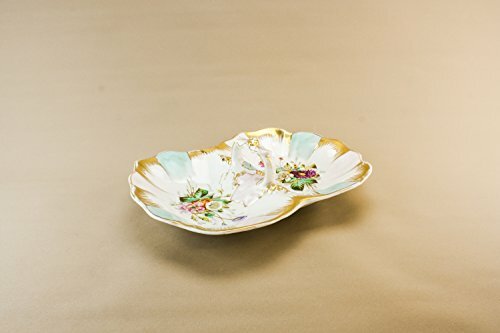 Opulent serving double bowl with handle in porcelain of the traditional style with painted floral decoration and gilded highlights, by KPM; antique German early 1900s. SKU: M131252. Condition: Used very good. Minor surface wear. Size cm: 24 cm W, 31 cm L, 10 cm H. Size inches: 9.4'' W, 12.2'' L, 3.9'' H. A great gift idea. Thank you for looking.